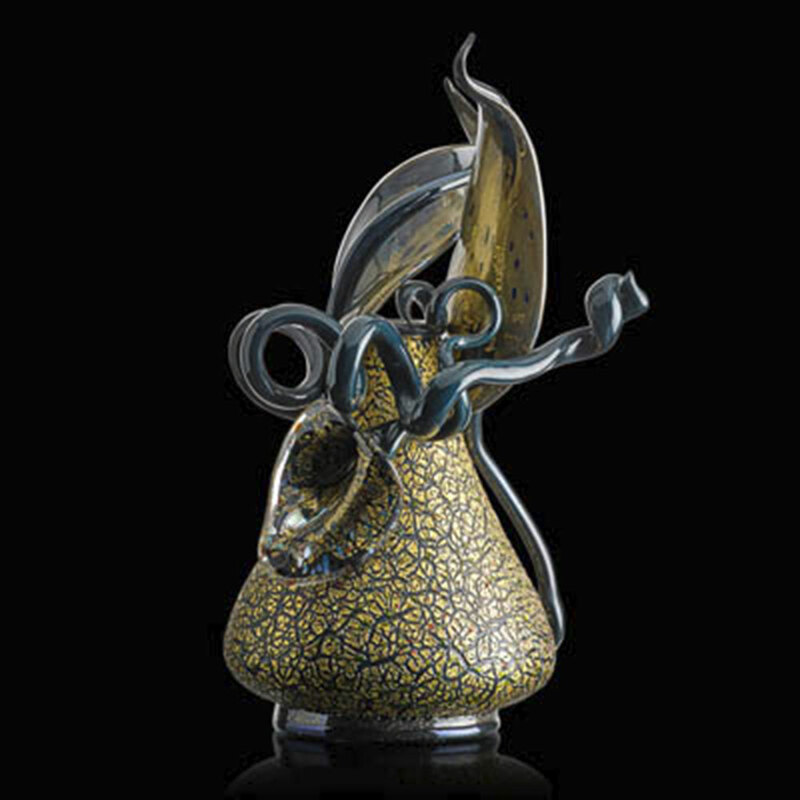 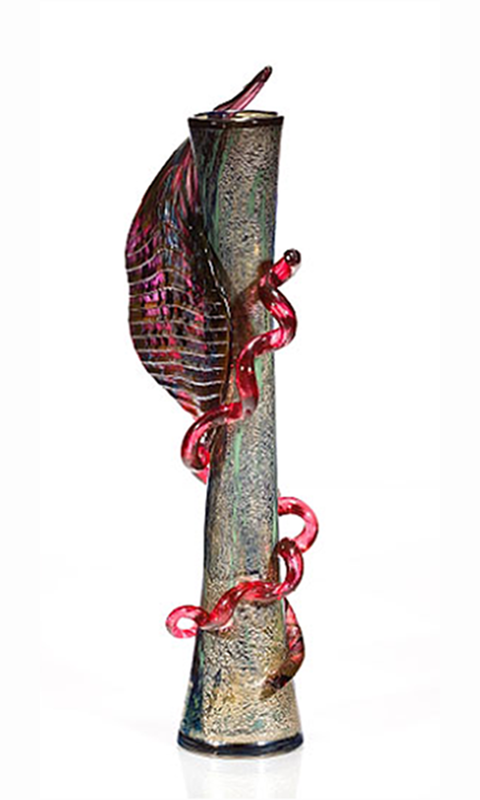 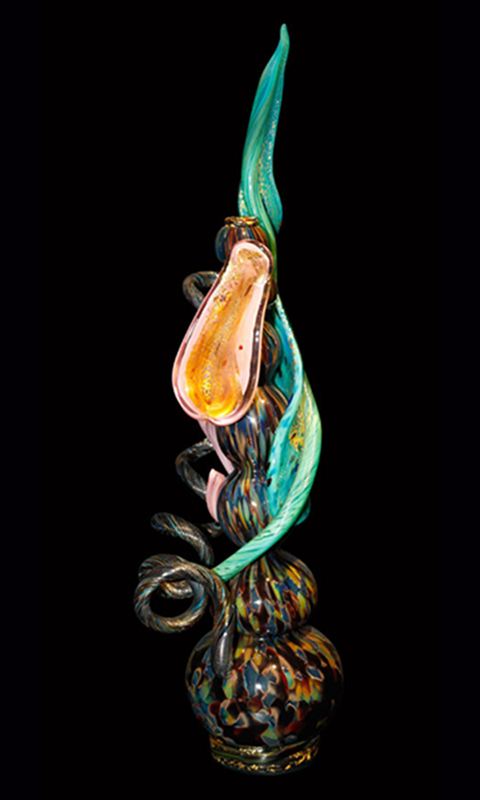 Working with the Murano maestro, Lino Tagliapietra, Chihuly began the ornate Venetian series in 1988. 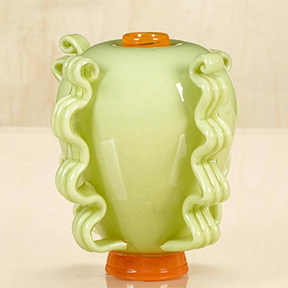 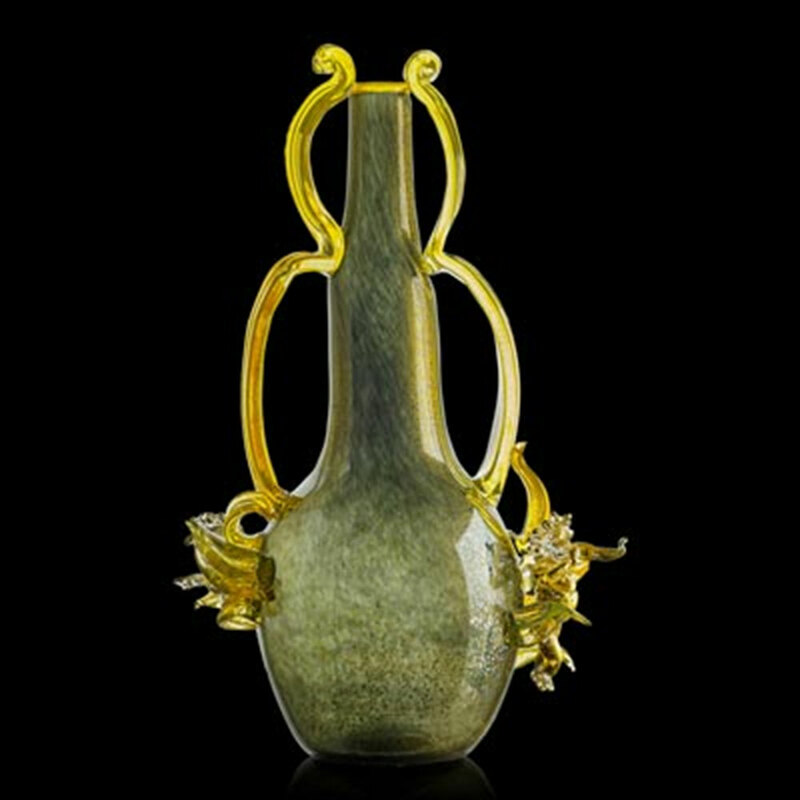 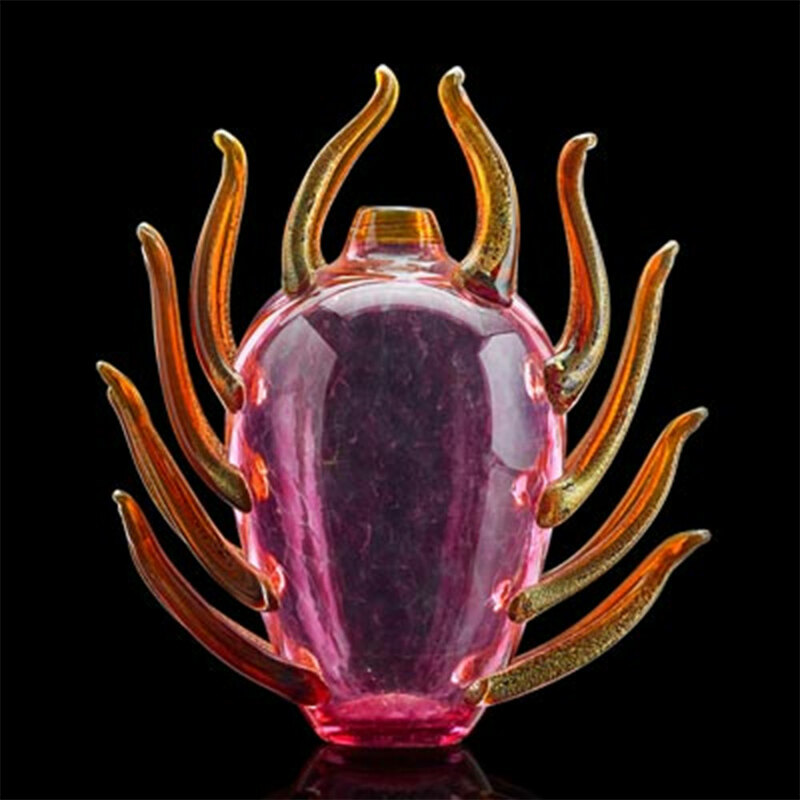 Inspired by Italian Art Deco glass of the 1930s, he added vibrant flourishes to traditional vessels. 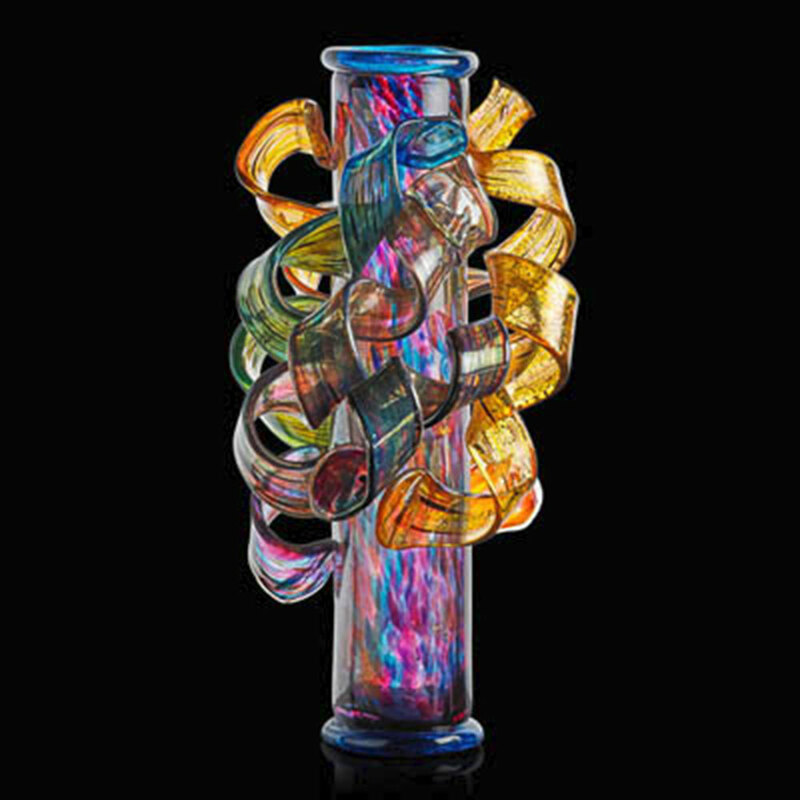 Spiraling ribbons, feathers, leaves and flames transform the conventional forms beyond all recognition.